Select Size 1 oz. trial 16oz. 128oz. 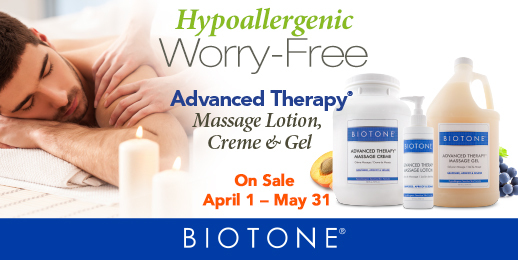 Biotone Advanced Therapy Creme is Hypoallergenic. 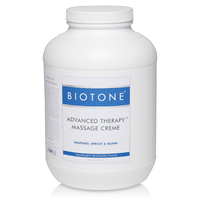 Now get the easy glide of oil and the light absorption of lotion in one very luxurious creme. Wonderfully silky, this formula offers higher friction and less glide than oil yet it won't absorb as fully or as fast as lotions. Perfect for longer massage sessions. Easy to apply, and pumpable from a jar. Compatible with 1 gallon jar pump.